SEIU’s Raise America campaign is drawing on the successful legacy of Justice for Janitors in its fight to raise the standards for union janitors across the country. Workers packed into the crowded Logan International Airport in Boston on Wednesday, June 15, where SEIU Local 32BJ brought together a large swathe of minimum-wage employees who often go unseen to hurried travelers. Baggage handlers, cabin cleaning staff and others who go through contracting companies were rallying together under an organizing banner with a history of struggle dating back 30 years. This led to a wave of janitorial organizing, with SEIU winning massive victories over the coming years, culminating in the nationwide campaign of 100,000 janitorial staff in 2000. At the same time, student organizers with the University Students Against Sweatshops project used the Justice for Janitors banner for their own Campus Worker Solidarity campaign to support janitorial staff organizing against their replacement by non-union contractors. Despite this momentum, the janitors soon entered an incredibly challenging organizing terrain — specifically the 2005 organizing drive in Houston, where they took on the five biggest Texas custodial contracting companies inside of the anti-union political climate of the South. At this point, the janitors were making an average of $5.25 per hour, about a quarter of what the same positions made in New York City. After they fielded dozens of arrests, a large 5,300-worker unit of primarily Latino female staff won massive victories like health insurance and an almost $2.50 raise from the contractors. The legacy of the campaign has continued as a cultural signifier for the ongoing need to organize janitorial positions, which are often socially maligned and associated with Latino and undocumented work. In recent years, the campaign has drawn heavily on the Fight for $15, focusing on fast food workers in New York City. SEIU now represents more than 225,000 janitors in the United States — with California remaining a leader, given its more than 20,000 represented workers. 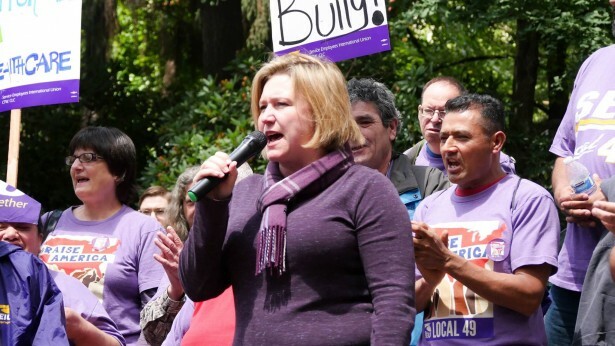 SEIU Local 49 handles 1,800 janitors in Oregon and southwest Washington who use the annual Justice for Janitors Day to continue to raise the visibility of janitors as a dynamic part of the larger labor movement. 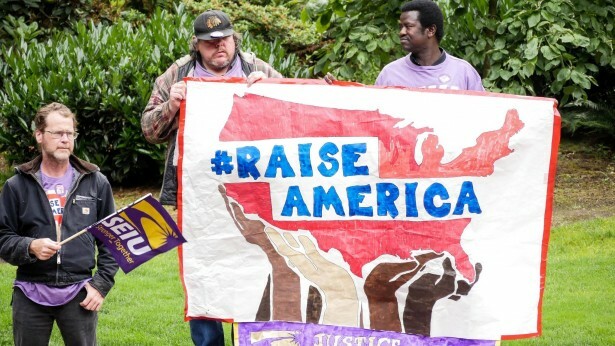 SEIU’s Raise America campaign is helping keep the focus on janitorial staff, which has seen locals in 33 cities — representing 130,000 janitorial workers — fighting for contracts that reflect a living wage and adequate benefits. Raise America began two years ago, as a push to update many of the janitorial contracts that were soon expiring for SEIU locals. Since community support and solidarity between cities was expected to be key in pressuring major contracting companies to further reform pay and working conditions for janitors, the campaign has focused primarily on workers who are already unionized with SEIU and bargaining for significant increases in wages and safety standards. Organizers have also been using community action and public labor advocacy to further put pressure on massive contracting companies coming to the bargaining table. After a bi-lingual event that raised the voices of Latino janitors in Portland, Oregon, workers took to the streets beneath a wave of flapping SEIU flags. For SEIU Local 49, this public show of support will help give workers an edge during their contract negotiations with some of the largest contracting firms in the nation, while — at the same time — signaling broader community support for the janitors. With workers pushing the $15 per hour line, they are tapping into a standard that “low-wage” workers have been setting across the country as different types of work, from fast food to part-time college faculty, put $15 per hour as the lowest wage acceptable. 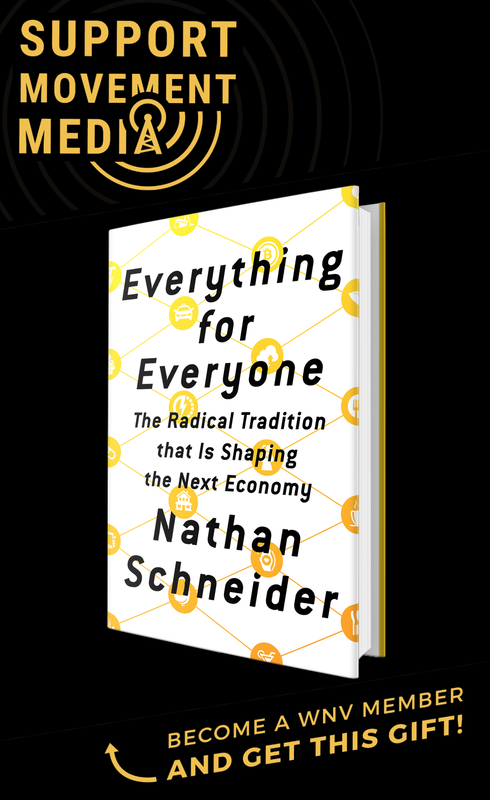 One of the largest questions for the future is whether this battle — represented both by Raise America and the broader Fight for $15 — will be honing in on legislative victories across the country or continuing to focus on unionizing the growing low-wage sector. For janitors, this means looking to where the strongest victories have been and making that a model for how to keep “invisible” workers heard in their workplaces.